Back in Los Angeles from two wonderful weeks in Istanbul, Turkey, and one of the most exciting parts of my life is checking the mail that’s piled up. Sometimes there’s a check, sometimes there’s a bill, sometimes there is an unexpected prize. This, however, was the weirdest thing I have ever had waiting for me. It is a giant necklace of the letter “N” on a large gold chain that came in an envelope from the Skybridge Marketing Group in Rockford, Minnesota. I have literally no idea what it is for. There was no letter, no indication of anything, no details, no explanation. 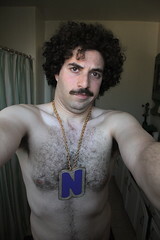 Just a giant N. On a chain. The thing is, it might be a genius marketing ploy by someone because if they know anything about me, they know full well that there is a 95% chance I will be using such a ridiculous object in at least one (and frankly, probably many) videos in the future. Anyway, if anyone knows what this thing is for or about or why on Earth I got it, feel free to let me know. In the meantime, have a nice weekend. Oh, and I’m posting this video again because view count determines winner, so go ahead and watch it again today. 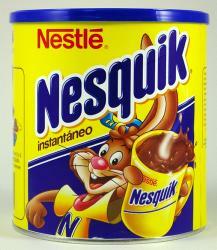 is it the nesquik “N”? You know, Tom, it looks like it might be! I still don’t know why, but your picture looks pretty similar.